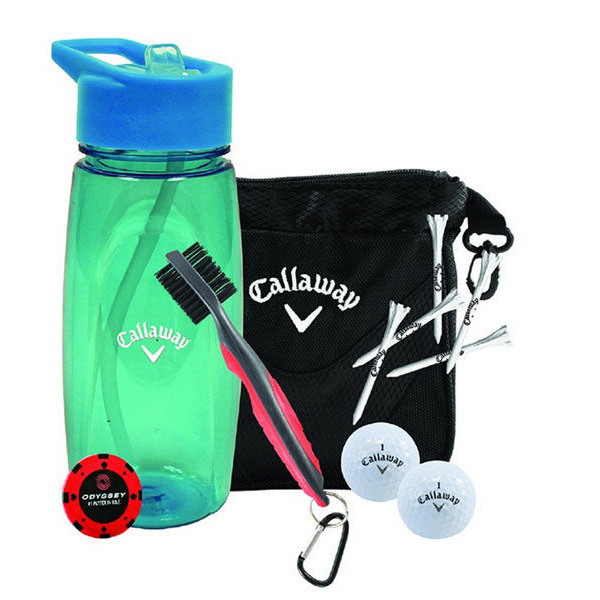 This tournament golf gift set is perfect for the avid golfer, with high quality denier valuables pouch to store your accessories, and 16oz drinks bottle to carry your drinks around the golf course. 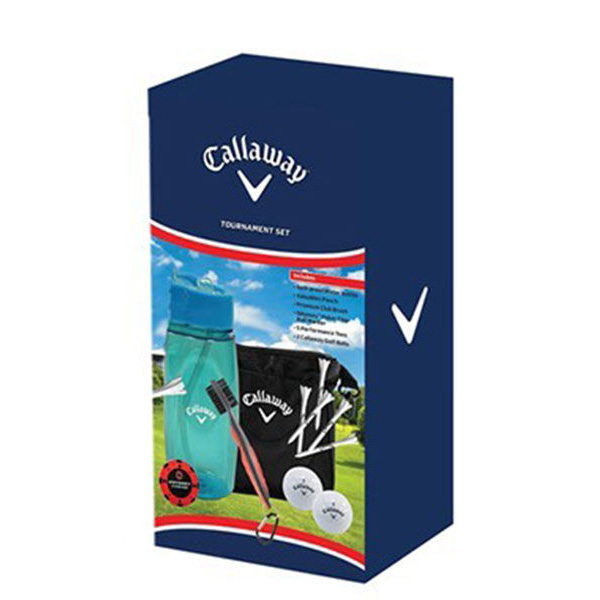 The set includes 2 x Callaway Golf balls, and has a premium club brush to take care of your precious golf clubs. Plus features a poker chip ball marker and 5 x performance tees, all essential items during your round. The set comes in presentation box which is prefect for gifting.